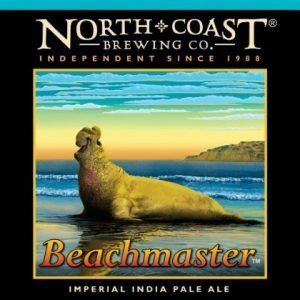 Why: Beachmaster, is dedicated to the great Northern Elephant Seal. This full-bodied winter seasonal is our first ever Imperial IPA. The Imperial IPA, synonymous with ‘double’ IPA, is known for its high gravity (7.6% ABV or higher), hoppy flavor, and strong body. Both a tribute and companion to North Coast’s flagship beer, Ruedrich’s Red Seal Ale, our Beachmaster captures the spirit of an American brewing style made popular by west coast brewers looking to test the limits of the traditional IPA. What: The fifth Collaboration Fest – Collaboration Fest is the headline event of Colorado Craft Beer Week, which runs March 31 – April 7, 2018. Where: Hyatt Regency Denver (650 15th St, Denver, CO 80202). Why: This festival was created by Two Parts and the Colorado Brewers Guild in 2014, as a way to give brewers the opportunity to brew a unique beer with another brewery. Collaboration Fest is a unique beer festival in that each beer is created specifically for this event. Colorado Brewers Guild members team up with breweries from near and far to create one-time-only beers. Collaboration Fest showcases the collaborative nature of the craft beer industry. Each brewery chooses who they want to work with, and what style of beer they want to make, allowing for the brewers’ imagination to run wild. Many of these beers will only be available at the festival. Tickets will be available at CollaborationFest.com. 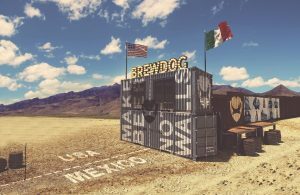 Who/What: Scottish brewery BrewDog announced plans to open a new craft beer bar that ‘straddles’ the border between the USA and Mexico. James Watt, co-founder at BrewDog commented: “’The Bar on the Edge’ will be set up in the furthest outskirts of the United States, reflecting our ambition to reach every corner of the country as we begin to brew our beers on US soil. When/Where: With specific locations still ‘top secret’, BrewDog has only revealed that half will be in Texas and the other half in Chihuahua, Mexico. The geographical border will be represented by a dotted line across the center of the bar and along the venue’s outdoor seating area. Built from old shipping containers, the construction would officially be defined as a temporary mobile building and will serve Mexico beers on the US side, and US beers on the Mexico side, as well as BrewDog’s range of craft beers, brewed in Columbus Ohio.